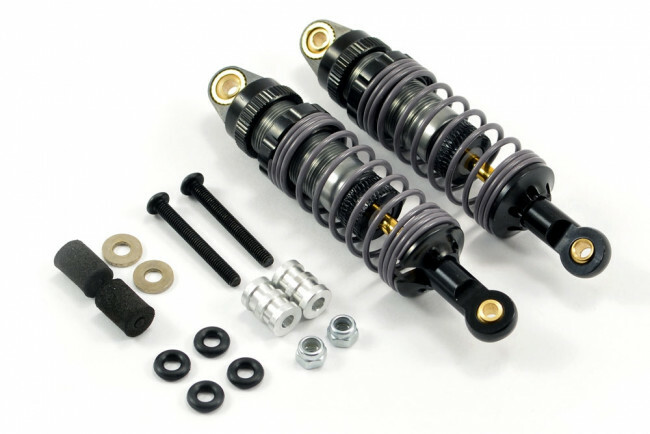 These all aluminium shocks are the perfect replacements for the shocks and springs that are supplied with most 1/10th scale car kits. 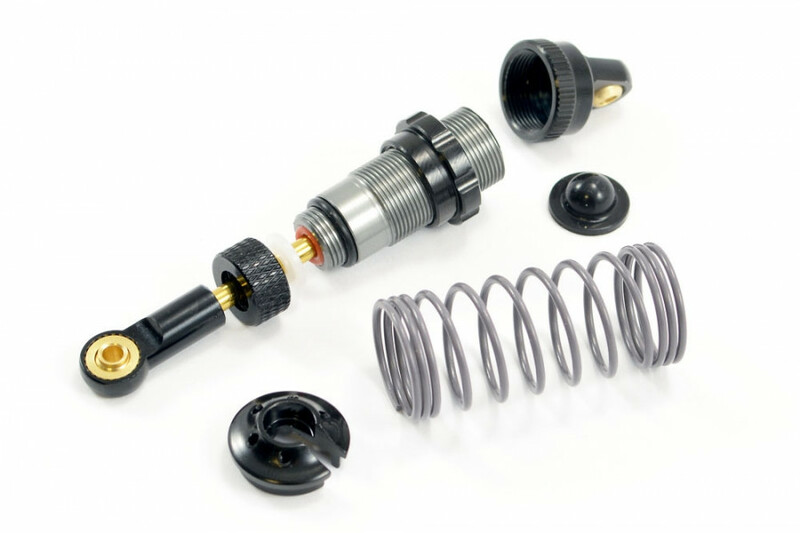 Supplied with an assortment of spacers. Please note that length measurements are taken between mounting eyelet centres.